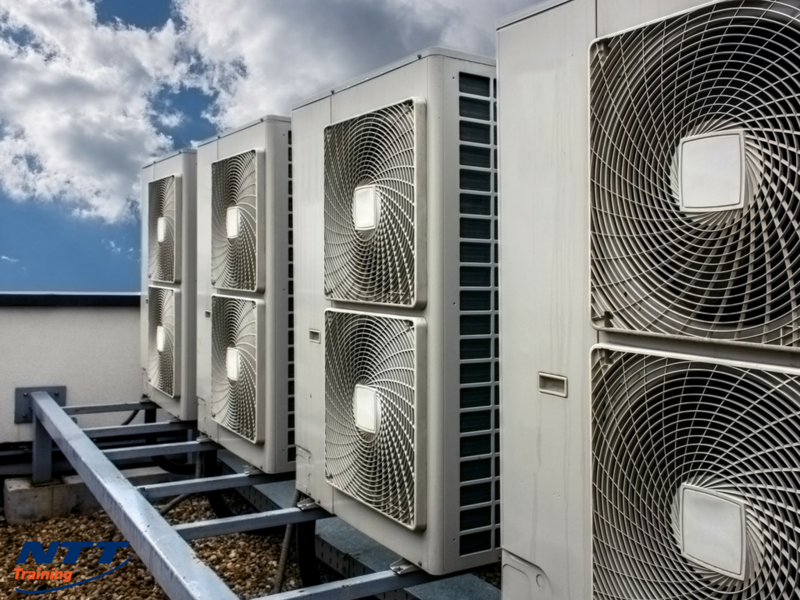 HVACR technicians install, maintain, and repair heating, ventilation, cooling, and refrigeration systems. These systems have become very complex over the years, and most employers require their workers to have postsecondary education in this area or at least want them to have completed apprenticeship training. Certain states require HVACR workers to be licensed. Once a new technician is licensed, they will usually work alongside an experienced technician for a time. They generally start on simpler tasks such as insulating refrigerant lines. After a while, they can start checking electrical circuits, or cutting and soldering pipes. If a technician receives their training through an apprenticeship program, it will last anywhere from 3 to 5 years. During this time, they will learn blueprint reading, safety practices, and how to use the tools of the trade properly. They’ll also become acquainted with the various systems that are used to heat and cool buildings. It’s important to know, however, that the U.S. Environmental Protection Agency (EPA) requires all technicians who handle, buy, or work with refrigerants to be certified in proper refrigerant handling. There are several qualities that it is vital to have as an HVACR technician. Troubleshooting skills- An HVACR technician needs to be able to pinpoint problems when heating, air conditioning, or refrigeration systems go on the blink. They also need to figure out the best solution to that problem. Customer-service skills- They will often be working in the homes or business offices of your customers. For this reason, it’s important that they have good people skills. Your workers should be polite, friendly, and punctual. Time-management skills- An HVACR technician will need to schedule several projects throughout their workday. They will need to know how to balance their new construction work with their maintenance and repair work. Detail oriented- As a HVACR technician, they will need to keep good records. They must list the nature of the work that they did, how long it took, and what parts and equipment they used to do the job. Physical strength- HVACR technicians can be required to lift and move heavy objects during the course of their duties. Math skills- HVACR technicians are called upon to calculate the proper load requirements so that the HVACR equipment works correctly to heat or cool the space it’s required to. Mechanical skills- HVACR technicians work on and install intricate climate-control systems, and they need to be able to understand the different components in these systems. They will also be called upon to assemble, disassemble, and sometimes program these systems. Keeping up on proper preventive maintenance and taking immediate action when repair work is needed can lengthen the life of your equipment. NTT’s HVAC seminar will give you hands-on experience in these areas. If you’re interested in training your workforce, NTT has you covered. For more information, connect with us today!